Residents of the USA are quite familiar with the use and side effects of natural marijuana, also called as weed, scientifically called Cannabis sativa. Among U.S. residents, we find those who are in favor and those who are against the use and legalization of marijuana. 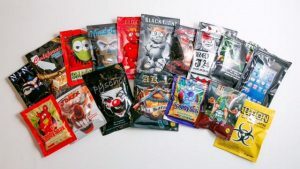 However, what many are not familiar with and what has been a newfound and serious threat is the use of the so-called synthetic marijuana (Spice/K2). Under the lie that this synthetic substance is safe and less harmful to its users, many teenagers and young adults have fallen into this trap, and they have found themselves facing far-worse side effects than they bargained for. The National Institute on Drug Abuse describes this group of drugs called synthetic cannabinoids as the result of “man-made mind altering chemicals that are either sprayed on dried, shredded plant material so they can be smoked or sold as liquids to be vaporized and inhaled in e-cigarettes and other devices.” The production and sale of these substances is illegal in the USA. These products are created in labs in unknown conditions. Producers use colorful packaging that gives the impression of harmlessness or safety. It is sold under the false labeling of incense or potpourri, and it carries the phrase “not for human consumption” to avoid being recognized and caught by law enforcement agencies. This strategy allures teens to think that these drugs are less harmful if not safe, encouraging them to experiment. However, the physical and mental effects are quite damaging, and many side effects are unknown because the synthetic cannabinoids does not have much research that could predict its effects on humans. In spite of limited knowledge about the consequences of these substances, few have become clear in the cases that are known so far: anxiety, depression, paranoia, hallucinations, violent behavior, and suicidal thoughts. It can also cause kidney damage, seizures, and increased blood pressure. 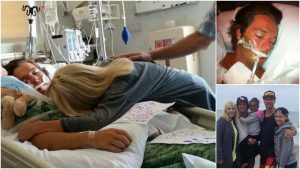 California teen dies after smoking synthetic cannabinoids for the first time. Photo Courtesy of KTLA 5 News. The most known names for this drug are Spice and K2. Other names include but are not limited to: Blonde, Summit, Standard, Blaze Standard, Blaze, Red Dawn X, Citron, Green Giant, Smacked, Wicked X, and AK-47. Also, it is falsely known as “legal marijuana” – another lie to make it seem that those involved with it will not face problems with the law. 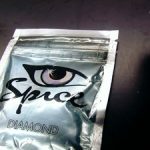 USA Officials are issuing health warnings due to the increase in overdoses from synthetic cannabinoids. In New York alone, 160 patients were hospitalized within a period less than 2 weeks during April of 2015. This prompted Governor Cuomo to issue a health alert in the state. According to statistics and study in trends in 2015 among 8th and 12th graders, it is reported that 3.1% of 8th graders confirmed to have used synthetic marijuana, and 5.2% of 12th graders. Many could be the reasons encouraging teens and youths to use this and other drugs: family problems, depression, peer pressure, the need of acceptance, curiosity, stress, media influence, financial problems, and so many other social and emotional triggers. However, one thing is certain: in order to bring awareness and help to the young population and avoid the consequences of substance abuse, one must find the root of the problem and work towards solving it. This must be done without imparting destructive criticism, not even towards ourselves. At The Universal Church, we believe that one can overcome addiction through the power of faith! Our success stories are the greatest proof that there is a solution even to the worst cases. If you or a loved one is battling through addiction, come and join us in a down-to-earth and practical meeting, where you will not be showered with information, but will receive the guidance you need and the prayers that will help you to break free from addiction. Sunday at 3pm at 1091 Fulton Street, Brooklyn, NY 11238.